Festival season is approaching and we couldn't be more excited. Bunbury Music Festival just announced the lineup for the 2018 edition of the festival. Check out the full lineup below. 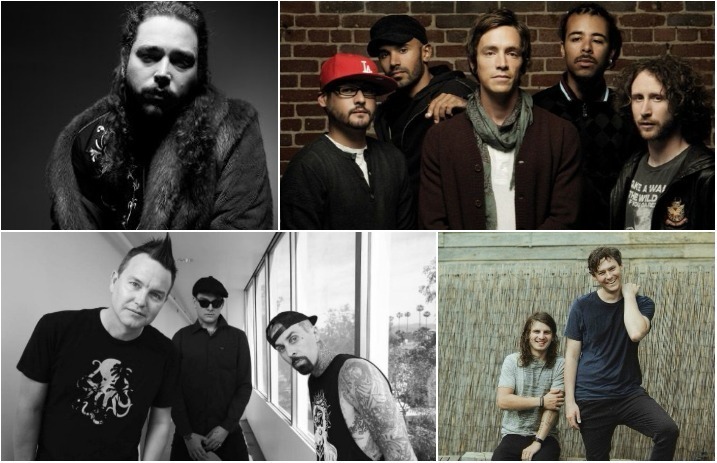 Blink-182 and Post Malone will be headlining the festival, alongside Incubus, Jack White and the Chainsmokers. Third Eye Blind, Coheed And Cambria, Andrew McMahon In The Wilderness, LANY, the Front Bottoms and the Wrecks are also playing. The daily lineups still haven't been announced. The festival happens from on June 2, 3 and 4 at Sawyer Point and Yeatman's Cove in Cincinnati, Ohio. Tickets are already on sale and you can grab them here.